It is hard for businesses to ignore the emergence of social networking sites with such and abundance of social media platforms such as Facebook, Twitter, LinkedIn, Google+, Tumblr, Pintrest, YouTube, and Instagram to name a few. There are a vast number of users on these social sites that hold a lot of potential for businesses. Social media for businesses is a new way of creating buzz among potential customers and going viral with the masses. Social media optimization or marketing is all about gaining traffic to your business website through social media sites. It is a very fast and efficient way of generating traffic to your business website. You can create interesting and relevant content for marketing your business which can be shared through the networks. This process acts as a form of electronic word of mouth and is as good as traditional word of mouth, which was always considered the best advertising a business could do. An advantage of social media marketing over traditional marketing is that it has the capability to reach a wider potential customer base. It is possible to target social media marketing on the basis of certain criteria like age group, gender, location, etc. Social sites provide specific filtering options to enable businesses to target particular demographics on them. So for example if you run a Miami based business you could target your social media marketing for Miami only, target the entire state of Florida or even the entire USA. 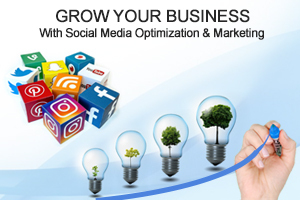 Necessity marketing is a leading social media optimization company based in Miami, Florida that offers social media optimization services to businesses for increasing traffic to their websites. We work to maximize your customer reach and to generate relevant traffic to your website that will ultimately increase leads and revenue. We not only develop a specific strategy for your businesses’ social media marketing, but we strive to achieve maximum ROI and ensure that your goals are met. Every business is different therefore its marketing strategies need to be different. Marketing strategies are developed based on businesses’ goals, expectations and limitations. Marketing goals are also different for different businesses in different situations. For instance if a retail business in Miami is already established in that market it may want to increase sells at it’s other locations in the state of Florida; social media marketing strategies would be different for a Miami based business wanting to target the entire country. Similarly, if your business is seasonal or it has identified potential markets in specific cities or states, your marketing strategy for social media would be different. Necessity Marketing’s objective is to understand your businesses needs and goals and create an effective social media marketing strategy. We regularly place fresh content on your social media pages and manage them. We utilize many social media tools to increase traffic to your social media pages and hence your website. We incorporate web analytics to monitor the traffic regularly and develop fresh strategies on the basis of the results. Necessity marketing has an experienced and dedicated team that will partner with your business to develop the best strategies to achieve your business goals and ensure maximum return on investment (ROI). We look forward to hearing from you and discussing how we can utilize social media optimization to grow your business. Contact us now for a no obligation consultation and analysis.